We choose Top Dog because of the family like atmosphere and the fact that the staff is with the dogs 15 hours each day. Colby always comes home happy and well cared for. They even pick up and deliver. Colby loves Top Dog and jumps into Jean’s car when she comes to pick her up. 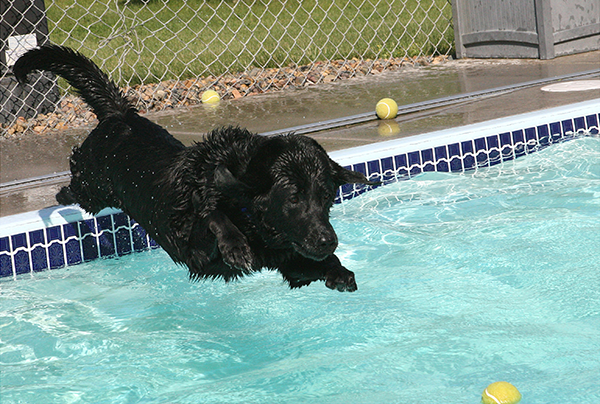 Colby is now thirteen, and is quite lame due to advanced hip dysplasia. She needs help getting around and a lot of TLC. We spoke with Jean and she assured us they can care for Colby’s special needs . . . and they do. They continue to care for and encourage her in a way we are very thankful for. "Hi, my name is Alta. 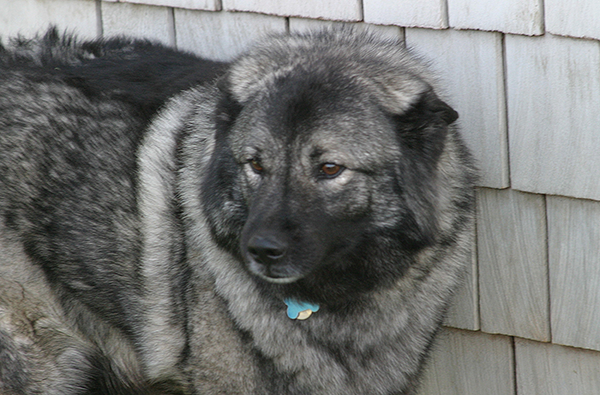 I'm a Norwegian Elkhound and I'm almost 10 years old. I've been so lucky. My family loves me so much they send me to TDCC whenever they are away from home. TDCC is so cool. Mostly I like that fact that everyone loves me, even though I am shy, a little skittish, and bark a lot. When I'm there, I get to run and play with other dogs almost all day long. One day I even jumped in their pool, but then I remembered I didn't like water. My sister Senja, who is in puppy heaven now, and I have been going to TDCC since they opened.